When you first load Camera Raw by opening a raw image, the first thing you'll notice is a large image preview (unobstructed by toolbars and palettes). Controls for adjusting images surround the image preview on the top, bottom, and right, as shown in Figure 8-1. Camera Raw menu Histogram Settings selection Camera Raw menu Histogram Settings selection Figure 8-1 The Camera Raw tools and controls Figure 8-1 The Camera Raw tools and controls On top of the image preview is the Camera Raw Tool palette and Option bar. 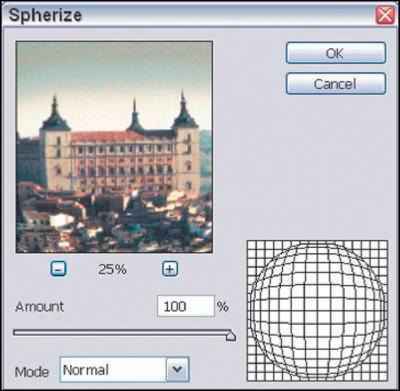 The Tool palette contains controls for zooming, moving, white balance, color sampling, cropping, straightening, and rotating. To the bottom of the image, you'll find workflow settings that let you set the color space to work in, image size, and bit depth. At the right of the image are the histogram, settings, Camera Raw menus, and Camera Raw control tabs. The cornerstone of Photoshop's Raw capability is the Camera Raw plug-in. Although you can open an image from Adobe Bridge, the file management program installed with Photoshop (see Chapter 4), directly into Photoshop, doing so assumes that you want to use the adjustments already recorded in the image's metadata. After an image is open in Photoshop itself, you manipulate the pixels directly, rather than manipulating the metadata. When you work in the Camera Raw plug-in, you never change the image itself, only the adjustments recorded in the file's metadata (or in a sidecar file). As you can see in Figure 7-1, the Camera Raw window is filled with tools and sliders. Even though you might not work with all the Camera Raw features, here's the lowdown on the features there. I Save Save After making your adjustments, click the Save button to open the DNG Converter dialog box and save a copy of the image as a DNG file. Option-click Alt-click to bypass the DNG Options dialog box and simply save the image as a DNG file. When you close the Camera Raw window, the image is saved automatically. (For more on the DNG file format and the DNG Options dialog box, see the sidebar, The DNG file format.) i Cancel Reset Clicking Cancel closes the Camera Raw window without making any changes to the image's metadata. Holding down the Option Alt key changes the button to Reset, which restores the settings seen when you first opened the image in Camera Raw. i Done The Done button, with or without the Option Alt key, simply updates the image's metadata with the adjustments you've made and closes Camera Raw without opening the image. Processing images in Camera Raw Discerning digital photographers have always wanted a file format that works like a digital equivalent of a traditional negative giving the photographer total control over processing the image data captured by a digital camera. (Sure, you could skip the tweaking and leave it all up to the camera's internal processing software but why settle for blah results ) In the past few years, new digital camera models have delivered just that the raw image format. 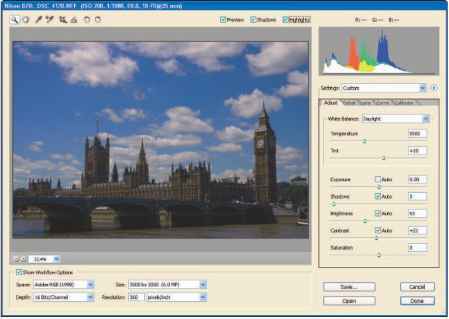 The software that gives you control of those raw images is called (logically enough) Camera Raw. Figure 2.20. This true telephoto shot can be mimicked in Photoshop. Figure 2.21 represents a combination of best possible worst possible scenario. On the plus side, I managed front row seats next to the dugout on the first-base side for this professional baseball game, and I was armed with an awesome 14-megapixel pro-level digital camera. Unfortunately, when the action started, I had a 28mm non-zoom lens mounted on the camera. So, I ended up with a big picture view that took in most of the infield and rendered the players a lot smaller than I would have liked. Figure 2.22. Cropping the image provides a telephoto effect. Figure 2.22. Cropping the image provides a telephoto effect. If you're new to digital photography and image editing, your camera is probably set to capture Jpeg files. If setting your camera to capture RAW files sounds like a new and complex idea, don't worry about doing that now. But once you're more comfortable working with your camera, you should try to set it to capture RAW files. 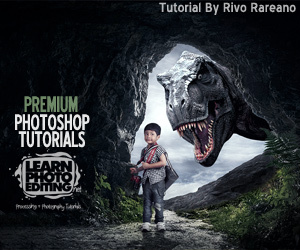 Processing RAW files in Photoshop is covered in the Processing RAW Images section. If you continue to work with film (I shot most of the chapter images in this book on film), you'll need to scan your images into the computer to perform some basic processing steps on them. These steps are covered in the document Working with Film found on the website. At the lower-left corner of the Camera Raw window is a set of Workflow settings that are image-specific, you FigUre 8.8 Camera Raw Workflow options. can change or retain the Workflow settings for all the images you've worked on in Camera Raw. These settings include the color space you want your images to be converted to when they're opened in Photoshop, as well as the bit depth of the files, the image size, and the resolution in which to open the image. Here's the lineup l Size Camera Raw will set the size to the default resolution of your digital camera. If you know you're going to be producing large prints or smaller images for your image, you can set the resolution higher or lower, and let Camera Raw do the resampling (which is quicker than resizing the image later in Photoshop). This feature can come in handy when you have to process multiple images in Camera Raw. For individual images, some photographers save resizing for later, as a step in their output-preparation workflow. Many digital cameras can also save their images as RAW files. These are unprocessed digital camera images. Photoshop can process them to a higher-quality image than JPEG files. One of the biggest advantages of RAW files is they have more that 8 bits per channel of information and can, therefore, be edited more than JPEG files. Every camera manufacturer has its own proprietary RAW file format, the term RAW refers to a category of file formats. It encompasses a wide range of formats include NEF (Nikon RAW), CRW (Canon), as well as many other formats. Adobe Photoshop CS2 supports most RAW file formats. 1. Open a raw image using Bridge. Start Bridge by choosing FileOBrowse or by clicking the Go to Bridge button on the Photoshop Option bar. Choose a raw image you want to process by double-clicking the thumbnail of the image (or you can right-click the image and choose Open with Camera Raw from the flyout menu). 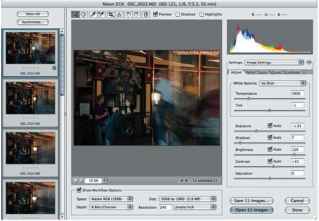 Figure 4-6 shows the image loaded in the Camera Raw window. Figure 4-6 The Camera Raw window. Figure 4-6 The Camera Raw window. Finally we're ready to edit some images in Camera Raw I start by taking care of the major business first making color and tonal corrections (including curves) to my image in the Adjust tab (Ctrl+Alt+1, or +Option+1 on a Mac). When you first open an image in Camera Raw, the default tab shown is the Adjust tab shown in Figure 9-6. The Adjust tab is where you'll make all of your color and tonal adjustments that were described in Chapter 7, white balance (or color and tint), exposure, shadows, brightness, contrast, and saturation. I take you through each of these in order. When you've got a good handle on what color and tonality means as applied to Camera Raw and Photoshop, the next skill to master is evaluating images. Thankfully, Camera Raw and Photoshop offer the photographer such tools as histograms (which I get to in Chapter 8), and clipping warnings to help you evaluate color and tonality. But don't forget the best judge of all yourself Yes, it's true that Camera Raw and Photoshop enable you to make precise overall adjustments, but sometimes the dominant factor in adjusting color and tone must be the artistic taste of the photographer. Camera Raw and Photoshop are artistic tools, after all the completed image should reflect your personal interpretation. Sometimes that means adding a touch more color, saturation, or contrast to an image to get a specific effect. A rnn to the raw workflow In Chapter 8, I show you all the neat tools and con- trols Camera Raw has to offer. Here's where those tools go to work processing raw images. Developing and using a consistent workflow to process your raw images (while taking advantage of Bridge automation features) will help you become more efficient. Camera Raw gives the photographer some serious tools for correcting color and tone. If you take the time to get some practice at using them properly, you'll find these corrections are actually easier to make in Camera Raw than in Photoshop. I've gotten to the point that many of the images I process in Camera Raw are pretty much ready for prime time when I open them in Photoshop. As you'll find, the better you get at making these adjustments in Camera Raw, the less you have to do later. When you've successfully transferred that batch of raw images to a folder where they just wait for a good tweaking, they're in Adobe territory. Here's where some handy new Photoshop CS2 and Camera Raw capabilities come into play in particular Bridge. New to Photoshop CS2 is Adobe Bridge. Bridge is an upgrade to the File Browser we came to love in previous versions of Photoshop but it's better Bridge is now a standalone application that can be launched independent of the Creative Suite programs, or from within Photoshop CS2, Illustrator CS2, GoLive CS2, and InDesign CS2. Bridge provides better integration between the Creative Suite programs, but if you use only Photoshop CS2, it works great as your standalone or integrated program to organize, browse, or locate photos. Bridge also serves as the launching point to process raw images in Camera Raw. Understanding white balance and saturation Making tonal adjustments Evaluating images J s you can probably tell by now, I'm a huge fan of Camera Raw and Photoshop. It rates right up there with football, big lenses, ice cream, and good science fiction on TV. (Live long and prosper ) Though you can do some amazing things with Camera Raw and Photoshop, the key to really getting the most out of your images is first to understand exposure, color, and tonality After you get those down, the rest becomes easier, and a lot more fun The purpose of this chapter isn't to dazzle you with technical terms and the scientific background of image sensors, light, and color. Instead, I explain the different color adjustments and then get into what the tools are for adjusting tonality. Understanding both color and tonality sorts out what tasks need to be done when processing images in Camera Raw, and fine-tuning your images in Photoshop. 1. Make sure the correct color profiles are applied. Camera Raw differ from those you specified in the Camera Raw Workflow settings to match the color space in Photoshop, you get a Color Settings Mismatch message like the one shown in Figure 10-3. At least the Embedded Profile Mismatch window lets you choose the profile embedded with the image (here, the Space setting chosen in Camera Raw) or the color space setting made in the Photoshop Color Settings. The histogram and the RGB readout give you information about the color and exposure values of the image as it appears in the Camera Raw Image Preview. The RGB readout displays the Red, Green, and Blue color values when you point to a selection in the Image Preview with any of four tools (Zoom, Hand, White Balance, or Color Sampler). The histogram, as shown in Figure 8-3, shows the current exposure setting of the image. Figure 8-3 The Camera Raw Histogram and RGB readout. who's processing images in Camera Raw In essence, they are both visual tools you can use to evaluate the adjustments you're making to the image. 5. Apply sharpness and luminance/color noise adjustments (see Figure 4-8). 7. Click Open to open the image in Photoshop CS2. All aspects of processing images in this book are presented in separate workflows that make up your overall image-processing activities. This part explains the workflows needed to process images in Photoshop after you've converted them in Camera Raw. Chapter 10 shows you workflows for correcting color and tone in Photoshop. Chapter 11 explains image editing as a workflow you know, removing red eye, blemishes, and miscellaneous unwanted parts of your image (use your imagination). Chapter 12 is dedicated toward preparing images for output by correctly sizing them, applying color profiles, and routing them through an efficient printing workflow. Djusting color and tone in Camera Raw might leave you with the feel ing that most of your work on an image is done and sometimes it is. What you're actually accomplishing in Camera Raw is applying basic adjustments to an image that wasn't processed in the digital camera, preparing it for Photoshop (where you can go wild with it). Chances are the photo still needs some minor color and tonal tweaks which is what this chapter is all about. Organizing those tweaks into an efficient routine is what I call the overall-adjustments workflow a fine-tuning of the color and tonal corrections made in Camera Raw, tailored to get the photos ready for output that has a specific profile say, a Web site or that photo-quality glossy paper you're loading into your inkjet printer. To make things even easier, processes are broken down into step-by-step workflows (gotta love that word), with a bunch of actual Photoshop screen-shots and photos to provide visual cues. If you want to skip right to the part on using Bridge (Part II), go ahead Want to see how to process images in Camera Raw (Part III) You can skip to that step, too. I've also offered detailed workflows for making overall corrections, edits, and preparing images for output in Photoshop (Part IV). Consider this book an end-to-end guide for using Photoshop and Camera Raw to transform your raw images into exactly what you want to see. As in Camera Raw, the most efficient approach is to do your global color and tonal corrections as a consistent, step-by-step workflow. After you get used to making any necessary corrections in a particular order every time, you can whip through those images, making corrections like a black-belt Photoshop master. Adobe Bridge is what ties together all the Photoshop processes, your habits of image management, and the tweaks you make in Camera Raw and Photoshop. Image management, in essence, is keeping your digital files organized and backed up for safekeeping. After all, before you can use 'em, you have to be able to find 'em, and they have to be where you put 'em. So Chapter 5 shows you how to get around Bridge and take advantage of its file-management functions. Chapter 6 shows you how to add information to digital images to organize and reference them even better for future usage. When first you open images in Camera Raw and Photoshop, get into the habit of immediately saving the image file to a working image folder, in Photoshop's PSD format. That way the saved image becomes the one you're working on, and resides in the working folder. The original stays intact, and you eliminate the risk of altering the original accidentally. Features than you might expect. You'll find more information about color scanners in my book Mastering Digital Scanning with Slides, Film, and Transparencies (ISBN 1-59200-141-6) and lots more nuts-and-bolts on digital cameras in Mastering Digital Photography (ISBN 1-59200-114-9). If you want to learn how digital cameras capture color, check out Mastering Digital Photography or Mastering Digital SLR Photography. All three books are available from Course Technology, and you can find more information about them at my website, www.dbusch.com. The Lens tab (press Ctrl+Alt+3 or +Option+3 on a Mac) gives the photographer the power to correct imperfections that can occur due to lens shortcomings. (Ack, wait Don't go throwing away your digital camera or the lenses you bought for your digital SLR The fact of the matter is that almost all lenses display chromatic aberrations or vignetting from time to time.) As a rule, lens shortcomings appear when you adjust your zoom to either the extreme wide-angle or telephoto settings or when the lens aperture is either wide open or closed down. Today's compact and prosumer model digital cameras come equipped with lenses of excellent quality, and they only keep getting better. Thisdocument iscreatedwithtrial versionofCHM2PDF Pilot2.16.100vith images that need a minor amount of correction. Figure 2.64 shows an image taken with an ultra-wide-angle lens tilted way back to include the top of the building. It exhibits the typical falling backwards look that perspective distortion produces. We can partially compensate for the distortion and improve this photo. A fourth way to create panoramas is to take several full frame photos with a digital or film camera, lining them up as best you can by eye, and then stitching them together to create one very wide photo. Such photos have been pasted together in the past, and then rephotographed and printed, but Photoshop makes it easy to mate a series of photos digitally. The advantage of this method is that each picture contains the maximum resolution possible with a full frame digital or film camera image. Another plus is that it's not necessary to shoot with a wide-angle lens, which tends to load the image up with foreground and sky, while pushing the important subject matter way, way back. You can move to a good vantage point and take your set of pictures with a normal lens or telephoto, then join them to create one seamless image. The chief disadvantage of this method is that it's tricky to produce the original images, and time-consuming to join them. Lower-contrast image on the right. Chromatic aberrations occur in areas where your lens can't focus red, green, and blue light along edges of the image to the necessary degree of precision. The Lens tab gives you two controls to counteract those aberrations the Fix Red Cyan Fringe slider and the Fix Blue Yellow Fringe slider. Infrared film is difficult to use, too. Light meters don't accurately measure the amount of infrared light, so exposures may vary quite a bit from your meter reading. You should bracket exposures on either side of the correct reading to increase your odds of getting a good picture. Infrared film must be loaded and handled in total darkness, too, and your fancy new autofocus lens might not focus properly with infrared film. Fortunately, faking an infrared photo with Photoshop is simple to do. This chapter offers four ways of adjusting color in terms photographers will understand immediately. If you've ever slipped a CC 10 Cyan filter into a filter pack, or stocked your camera bag with an 85B or 80A conversion filter, you'll appreciate the advice here. However, even if your color correction experience extends no further than using the white-balance control on your digital camera, this chapter has everything you need to correct your colors in Photoshop. With white balance and exposure adjusted, the next step is adjusting the image for the shadow tonal values. The Shadows control is located just under the Exposure control, which is a pretty clear hint about what to do next Move the Shadows slider to the right (to darken the shadow areas of the image) or left (to lighten up the shadow areas). Figure 6.14. Some fluorescent lights can produce a greenish image. Solution Use the Fluorescent setting of your digital camera. If working with film, your camera retailer can provide you with color filters recommended for particular kinds of fluorescent lamps. 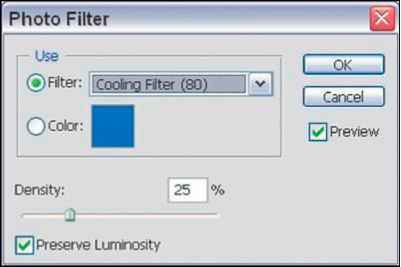 These filters are designed to add only the amounts and types of colors needed. Since it's difficult to correct for fluorescent lights digitally, you'll want to investigate this option if you shoot many pictures under fluorescents and are getting greenish results. You can also shoot in the RAW format if your digital camera has that feature, and correct the color as you convert in Photoshop. Okay, not all of us plunge right into digital photography (underwater or otherwise). 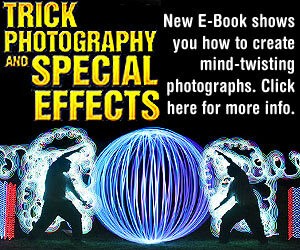 So Part I offers an overview for the Photoshop and Camera Raw concepts covered in the rest of the book. It's a quick-start for shooting in raw format and getting your images into your computer. Chapter 1 briefly introduces shooting raw, using Bridge, and then using Camera Raw and Photoshop to process your images. Chapter 2 goes into more detail about the benefits of raw format, and takes a look at Adobe's new DNG file format. Chapter 3 speaks to a topic near and dear to my heart color management. Chapter 4 explains the workflows covered throughout the book, and why they can improve your overall photography and your Photoshop skills. 6. Fine-tune the tonality and contrast, using the Curve tab. The Curve tab (shown in Figure 4-9) lets you fine-tune an image's color characteristics (tonality). Unlike the Curves adjustment in Photoshop, the Camera Raw Curves adjustment works on top of the adjustments made in the Adjust tab it works like an adjustment's own fine-tuning. I find that making careful changes in the Adjust tab reduces any need to make changes in the Curve tab. Photoshop CS now includes a Camera RAW plug-in (which was formerly an extra-cost option with Photoshop 7) that works quite well. It can be used only with the particular digital cameras that Adobe supports, typically from Nikon, Canon, or Konica Minolta and quite a few other vendors. In addition, Camera RAW supports the new Adobe Digital Negative (DNG) format. DNG is Adobe's attempt to create a common RAW format that can be used by all the different camera types. The list of supported cameras at the time this book was published is a long one, shown in Table 3.1 You can also expect that camera models introduced after Photoshop CS from the same vendors are also supported. For example, although the Canon EOS 350 XT and Konica Minolta A200 debuted after the original Photoshop CS, their RAW formats are similar to their predecessor models and are fully supported. You can find the latest updates that list compatible cameras at www.adobe.com. Fortunately, there's no need to throw the spectacular images out with the stopbath water. Photoshop includes a whole raft of features that let you re-create the most useful darkroom techniques quickly and repeatedly, without risk of wasting film, paper, or chemicals. You can even manipulate your digital negatives using your digital camera's RAW format. Adjusted in Camera Raw Figure 1-13 Original image, and the image adjusted in Camera Raw. CS2 (Well, back to it anyway.) Thanks for being patient, but in this chapter, it's first things first Bridge and Camera Raw are, after all, the first steps you take as you get into processing raw images. When you're familiar with browsing images, opening them, and then converting them in Camera Raw, you're ready to poke around in Photoshop CS2, check out the new features, and dive back into processing your images with a slew of new tools to use. Adjusted images - without having FigUre 8-10 Control buttons for Camera Raw. to open them in Photoshop. To the rescue come the Camera Raw control buttons, located to the lower right of the Camera Raw window, as shown in Figure 8-10. i Save (Ctrl+Alt+S, +Option+S on a Mac) This button saves the adjustments to the image while leaving the Camera Raw window open. i Open (Ctrl+O, +O on a Mac) Use this one only when you want to open the image in Photoshop, because that's what it does and then it closes the Camera Raw window. L New Exposure control Photoshop now includes a new control that lets you adjust exposure outside of Camera Raw that can be used for JPEG or TIFF images. I Lens Correction filter The new Lens Correction filter provides the capability to correct lens shortcomings such as barrel distortion and vignetting. Those of you who are familiar with those problems probably feel like cheering. Here's the gist Some lenses at extreme settings create slight darkened borders around an image, called vignetting. Also, you can see visible distortion at extreme zoom settings, especially wide angle. It's difficult to get your models to stand exactly where you want them. The most frequent error amateur photographers make in group shots like this is to fail to have the subjects standing close enough together. Even seasoned pros can fall victim, especially when the subjects include a lively quartet of second-graders in which one or more of the boys doesn't especially want to touch one of the girls. Luckily, Photoshop makes it easy to move our subjects closer together, as I did in this case. First you need a digital infrared image to work with. This is an image editing book and not a photography techniques tome, so I'll provide only the basics. 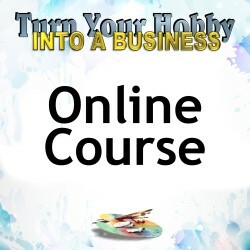 You can find more complete discussions of how to take infrared photos in my books Mastering Digital Photography and Mastering Digital SLR Photography. To take the original photo, you'll need a camera that can see infrared (take a picture of your TV remote control in action to see if a dot shows up from the sending end), and a filter that blocks visible light and passes infrared, such as the Hoya R72. Mount your camera on a tripod, because infrared photos may need exposures well below 1 30th second, and venturing into the multi-second range (that makes non-moving landscape subjects your best bet). You'll also want to set the white balance control of your digital camera manually, preferably using an expanse of grass as your neutral. With any luck, you'll end up with an infrared photo like the one shown in Figure 3.39. Dust spots on digital images aren't really possible for images taken with compact digital cameras because the lens is built into the camera. But when you're shooting with digital SLRs, dust spots can happen when particles find their way onto your image sensor. It's happened to me, and is fairly common for digital SLR shooters. Vignetting occurs when the outer edges of the image aren't properly exposed, often leaving a dark circular edge around an image. Vignetting will often occur when you shoot images with your lens set to a wide-open aperture setting. Using a lens hood can also affect an image where the lens actually captures the outer edges of the attachment. The Vignetting Amount slider is an easy way to eliminate this condition. The photo shown in Figure 9-25 shows vignetting that occurred when this landscape was shot with a wide-angle lens. Though the Vignetting and Midpoint controls were designed to reduce vignetting effects, I'll often take them the opposite direction and not just to be contrary. For years, portrait photographers have used vignetting as a portrait effect here I can do that digitally Adding a dark, graduated border around a portrait can have a pleasing effect on the total image, drawing attention to the area of the photo that is most important the person you've photographed. The original was a full-frame digital image taken with a digital camera with a mere 3.3 megapixels. I zoomed in as far as I could with the 4X zoom lens, loaded the resulting image into Photoshop, and applied Photoshop's Filter > Sharpen > Unsharp Mask filter, which lets you dial in the amount of sharpness you want, using the dialog box shown in Figure 2.24. Vignetting, in which the corners and edges of an image are significantly darker than the center, can be produced in a number of ways outside the darkroom. A lens hood that is too small for the field of view of the lens it is used with can produce a vignette effect unintentionally. The same thing can happen if your lens doesn't fully cover the image area. The photographer can shoot through a hole or other aperture to create a vignette, too. Or, you can dodge the image while it's being printed to achieve the same end. Photoshop is as good an option as any, and better than most, especially if you want a fine degree of control over your vignettes. You may think that with today's digital cameras, dust spots are a thing of the past. That's not necessarily so. Digital SLRs use interchangeable lenses when you change these lenses, dust can sneak into the camera and onto the image sensor and you have digital dust spots. Fortunately, the Spot Healing Brush tool offers a digital remedy. With traditional photography, color correction is achieved in several ways. You can put filters over the lens of your camera to compensate for a slight bluish or reddish tint to the available light. Other filters can correct for the wacky lighting effects provided by some fluorescent lamps. Some color correction can be done when making a print. Digital cameras can even do a bit of color correction internally, using the white balance settings. Yet Photoshop has an advantage over most traditional methods it's fast, repeatable, and reversible. You can fiddle with your image editor's capabilities as much as you like, produce several corrected versions for comparison, or really dial up some outlandish color changes as special effects. If you don't like what you come up with, return to your original image and start over. (flNG The quality you get when you sharpen an image depends on its final size. If you sharpen an image before you resize it, you could do more damage than good, winding up with an extremely oversharpened appearance in the final output version. If you use the Sharpness control in Camera Raw, use it only temporarily to add sharpness to preview images. Here's how to set Camera Raw's Sharpness control to sharpen preview images only click the Camera Raw Menu button and click the Camera Raw Menu button and 1. Open Camera Raw Preferences. In the Camera Raw Preferences window (shown in Figure 9-21), choose Preview Images Only from the Apply Sharpening To drop-down list. When you make this selection, Camera Raw applies sharpening to preview images only. Photography Masterclass will be instantly available for you to download right after your purchase. No shipping fees, no delays, no waiting to get started.